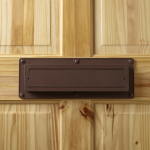 We’ve been asked more times than we can remember whether we do a draughtproof pet door, and we always had to answer ‘not yet’, but now the people who brought you the Ecoflap letter box draught excluder have developed the draught-resistant, rattle-free Petflap pet door. Using the same design principles as the Ecoflap, using any airflow to sit more tightly shut aganst its frame rather than flapping and blowing in the breeze, the Petflap is an attractive animal-friendly design that will contribute to your home’s energy economy and comfort. Small and quiet enough not to intimidate a kitten, big enough for a terrier, the Petflap is set to be a tremendously popular addition to the homes of the UK’s pet lovers. Affordable, simple to fit (read fitting instructions here) and easy to clean, the Petflap addresses the concerns of most cat- and dog-loving homeowners, but there’s no reason why your house rabbit, rat, chinchilla or micro-pig can’t be trained to use it. 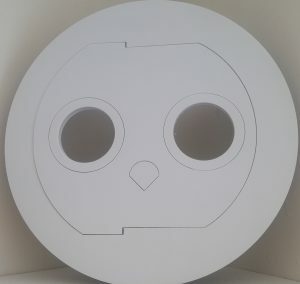 We have the facility too to create a bespoke size and material draughtproof pet door just for you, so please get in touch if your needs are less mainstream than the standard Petflap. 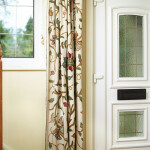 The Petflap retails for £69 (inc VAT, plus delivery). 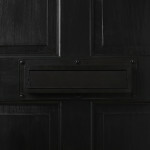 As always we’ll be on hand to answer questions and advise on any fitting queries. It’s very much like buying an Ecoflap, only your pet goes through it, not your post. If you haven’t yet bought an Ecoflap, why not buy the two together and draughtproof your home for the winter?